Esther started learning a musical instrument since young, she believes that music could build one’s confidence, persistence and artistic sense. In addition, she found that music performance and ensemble activities connect people in a way that transcends language. Working in the music training field, Esther aims to promote music as an important tool of life education. She founded Ponte della Musica. By this platform, she actualizes her beliefs by organizing performing arts activities and ensemble training. Esther obtained BSSc. (Communication Studies), B.A. (1st Hon, Music) and M.Phil. (Musicology) from the Hong Kong Baptist University. She has presented papers in various international academic conferences, held respectively at University of Kwa-zulu (South Africa), SOAS University of London, Chinese University of Hong Kong, and 2013 Chinese Composers’ Festival. One of her papers won a best student paper award at the Music of East Asia Study Group symposium of the International Council for Traditional Music. 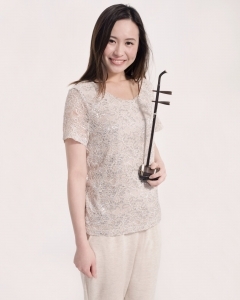 As an erhu soloist, Esther has been invited to perform various concertos with different Chinese orchestras. She also premiered erhu solo works by composers namely Hui Cheung-wai (Hong Kong) and Wolfgang Liebhart (Austria). Alexander is an active and versatile collaborative keyboardist. He has collaborated with Eastman School of Music Repertory Singers, Robert Wesleyan College Chorale, the Chinese Choral Society of Rochester, The Chinese University of Hong Kong Chorus, The Cantacore Society, Hong Kong Youth Choir, Hong Kong Oratorio Society, St. Paul’s Co-educational College Alumni Choir and Trinity Children’s Choir. Recent years he also collaborated in various opera productions such as Musica Viva’s Il Trovatore, Carmen, Elisir d’amore, The Legend of Zhang BaoZai and Hong Kong Arts Festival’s Dream of the Red Chamber. Alexander holds a Master of Music degree in Piano Accompanying and Chamber Music from Eastman School of Music and a Bachelor of Arts Degree in Music (first class honor) from the Chinese University of Hong Kong. His major mentors include Jeffie Leung, Dr. Mary Wu, Wong Kin Yu and Dr. Jean Barr. He has appeared in various masterclasses during his studies in the states, including these given by Graham Johnson, Steven Isserlis, Kirill Gerstein and Tetzlaff Quartet. After his graduation, he participated in the Hawai’i Performing Arts Festival as a collaborative pianist in the Voice Program. He was then employed as a full-time Répétiteur at Musica Viva through Hong Kong Arts Development Council’s “Music Artistic Internship Scheme” (2015-2017). Currently Alexander is an accompanist of MusiCall, St Paul’s Co-educational College Primary School Senior Choir, Young Vocalists, Die Konzertisten and Hong Kong Bach Choir. 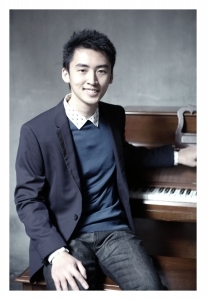 He also serves as a Répétiteur in MusicaViva and Performance Coordinator in Qin Music School.